Have you been charged with building a luxury brand online, or just curious how Ferrari approaches online marketing for their luxury car brand? 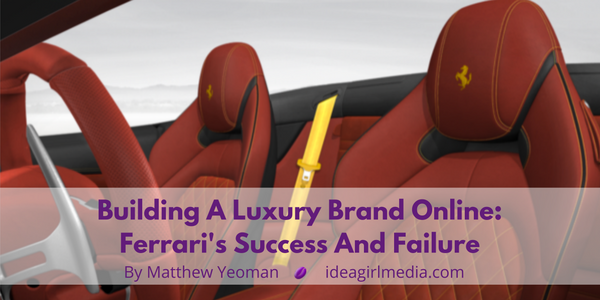 This article by Matthew Yeoman is a detailed case study on luxury brand marketing! How has Ferrari done building a luxury brand online, you ask? Ferrari has spent decades building their sports cars image into one of the best luxury brands online, and in the entire world. 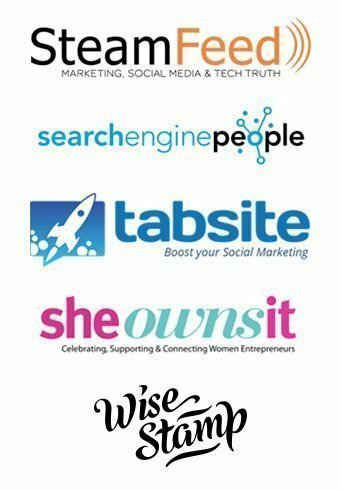 Where once it was print ads, TV spots, and racing team sponsorships which made up the bulk of their branding, they too are well into the 21st century of online marketing. Is Ferrari succeeding at it? Have they created the right content? Are they connecting with and incorporating their fans? What content are they best at, considering how highly photogenic their product is? All of these questions will be answered as I look across their online marketing campaign. We’ll discover some interesting choices regarding their building a luxury brand online. But we will also see that Ferrari has not yet mastered online marketing in the way that some of their contemporaries have. Each of these adheres to modern online marketing tactics, and even innovates in certain ways. They all look great, function the way they need to, and offer exciting things to their fans. Let’s learn about each one. 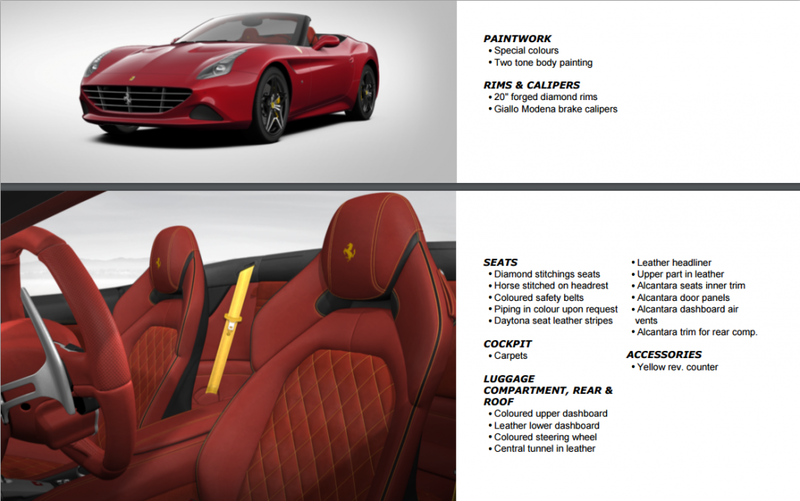 Ferrari has a great looking website, which anyone can plainly see when they click around it. The website features some customization based on your location, and is very mobile responsive. The bar along the top, displayed below, stays at the top regardless of the page you’re on, allowing easy access to whichever area you want to click to next. This makes it so there’s always something else for website visitors to see next, no doubt improving Ferrari’s bounce rates and page views. It’s the yellow seat belts and yellow stitching which do it for me. That doesn’t work for you? It’s ok, you can play around with the tool as much as you’d like to create your dream Ferrari too! And this is the point of the tool: This is the poster on the bedroom wall come alive, for you to alter just the way you always wanted. It’s taking those crappy drawings you did of your ideal Ferrari and turning them into something nearing 3-dimensional perfection. It’s fantasy building merging with brand loyalty in an online marketing context, and it’s quite enjoyable to play with. ‘Architecture’ instead of a standard automotive term like ‘design.’ ‘Luxury and performance’ with an older model, showing decades of their story. ‘A very special privilege.’ Not just an ordinary privilege, but a special one. ‘Elegance’ to describe a car with over 550 horsepower. Ferrari’s Twitter team has not chosen the words in these tweets, and many other examples, by accident. They know what they want to convey to their followers. Ferrari is a well established sports and luxury brand, and they do not stumble on Twitter and change who they are. The length of the messages has shortened, but what they are presenting is still classic Ferrari luxury and performance. Ferrari’s website and Twitter are excellent online marketing tools, but they may pale in comparison to their Instagram. The Instagram platform is all about images of, well, great looking things. Ferrari has that ‘things’ aspect covered with ease. 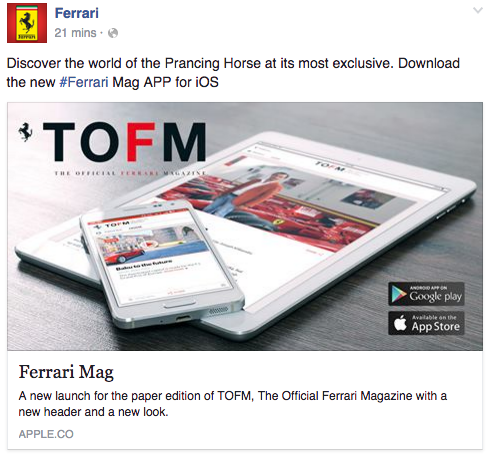 Everything that Ferrari does on their Instagram account building a luxury brand online is something to learn from. You may not build a car that’s so photogenic, but you can adapt the concepts which they use so well to your own marketing efforts. Their failures aren’t without some redeeming qualities, but they are far below the standard set by one of the most luxurious brands in the world. Yes, they’re exactly the same. They’re taking their tweets and sending them out over some social media management tool as Facebook posts. They don’t take the time to customize them even slightly for Facebook. Everything you see on Twitter is exactly what you see on Facebook. They don’t do this with their Instagram account, why are they doing it here? It would also be good of them to hire a community manager who will answer questions. Many questions go completely unanswered on their Facebook page. Is it possible that they’re ignoring Facebook because the average Ferrari owner isn’t going to spend time asking questions here? Yes, it’s possible. But the average person who will buy a Ferrari jacket, or some other accessory, will be there. It’s poor community management either way. Who wants to watch their YouTube videos? Ferrari clearly does not understand what we want out of an online motoring show. With Top Gear, and soon The Grand Tour, being one of the most popular shows on the whole planet …how do they not get it? There’s the blueprint, they even have incredible cars and backdrops in Italy to drive through and film, with access to the best drivers in the world. What’s stopping their YouTube channel from doing this? A meaningless 15 second introduction, followed by meaningless guitar/rock music, with meaningless images of people we aren’t introduced to, all for a race which is meaningless as we’re not given any sort of information about it! Shockingly bad. Worst of all is the music: Cut the music and let us listen to the cars at least! How bad does it get? It gets really, really bad. How? Nearly all of their videos are exactly like this! I was researching this hoping to see cars being driven in beautiful locations with expert commentary, behind the scenes access, some burning rubber and the signature high-pitched whine from a Ferrari exhaust. Instead I watched way too many minutes of bad music videos. Yes, create content for your Italian fans. But to only create content for your Italian fans when the person you’re interviewing already speaks English? Just a shockingly poor decision considering that the video titles and descriptions are all in English. That’s what we want. Please fix this, Ferrari. You, and we, deserve better YouTube branding than this. Get a regular host or voiceover artist. Shorten your intros. Decide if you want to create content for Italian or English speakers. And for the love of all that revs past 9000, learn from Top Gear and stop giving us bad music videos. Using cross-platform techniques has been in vogue online lately. 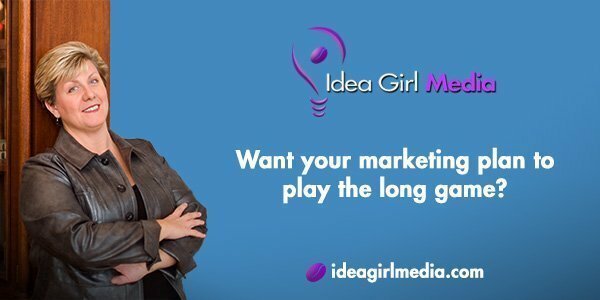 Many marketers are building this into their content marketing plan as they seek to connect their websites with their YouTube, Twitter, Instagram, landing pages, and everything else they do online. Ferrari has failed at the single, most basic aspect of this which they can: They don’t connect their exceptional Build a Ferrari tool into …anything. Share this on Twitter with the hashtag #BuildaFerrari! That’s it. One little prompt to share, and a widget built to make it even easier, and they’re off and running with not only some cross-platform marketing, but user-generated content as well! They can’t even seem to cross promote with their own fans, like they’re a private printing press of ads they push out over Twitter. They just don’t get it, or they don’t want to get it. 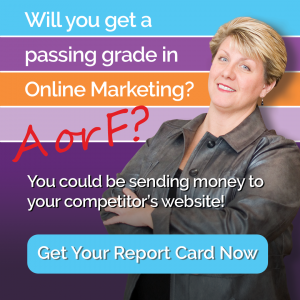 Either way, it will not help them in the world of an increasingly connected online marketing world. Their YouTube channel, again, needs more cross-platform integration. Their videos would spread better with a hashtag being used in the title. Starting a #FerrariSeries of some name would be a start to spur on social sharing. Their videos are also very rarely shared on any of their social media sites by the managers. Considering how bad the videos are, I don’t blame them. It’s as if Ferrari is sitting back and waiting for each platform to succeed all on its own merits. This simply isn’t how they should approach their marketing at all. Nothing should exist on an island. How a luxury brand, which frequently succeeds by connecting with fans flawless, gets this wrong is a major problem. And hopefully continue to do so as they’re very entertaining platforms for car fans. Should they give up on Facebook entirely, or get a decent community manager? Their YouTube account is a bad joke, it needs a complete overhaul or to be shut down as they focus on something else. The cross-platform marketing will be their biggest impediment going forward as they should have their accounts working together, not separately, like any well-oiled machine. If they fail at improving their weak points the impeccable sheen of the luxurious Ferrari brand which we enjoy today may not be as revered to car enthusiasts of the future. We hope you got a lot out of this case study on luxury brand marketing. There are many things to consider in building a luxury brand online. What do you think Ferrari is doing right? 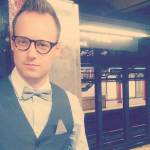 Matthew Yeoman writes about social, video, and all things digital marketing on the Devumi.com blog. You can read his latest advice and thoughts every Friday. If you want social media news now, follow the @Devumi gorilla on Twitter. 1:27 AM Helpful article blog sharing. I appreciate you sharing your thoughts. Our guest author will be happy to know of your comment too.